Lie#5: Cooking in canola, saffola other vegetable oils is good for you and your heart! Wrong! These oils are very high in omega 6 fatty acids ( it is a type of PUFA – poly unsaturated fatty acid). A lot of us pop pills like omega 3,6,9 on a daily basis, which gives us more Omega 6. We eat out all the time and your favorite restaurant is here for business! Its going to use a cheaper variety of oil for bigger profits, which gives you more Omega 6! Omega 6 is good for you, but when you see the bigger picture, you realize what’s more important is the ratio between Omega 6 and Omega 3 ( Also a PUFA fat). Our modern day lifestyle is giving us ten times more Omega 6 than we require, which is one of the reasons, people are gaining weight faster than ever and diseases like diabetes, high blood pressure, High cholesterol is becoming common amongst kids as young as 8! You need to start having more omega 3 rich stuff to correct the balance and have better hormonal balance. 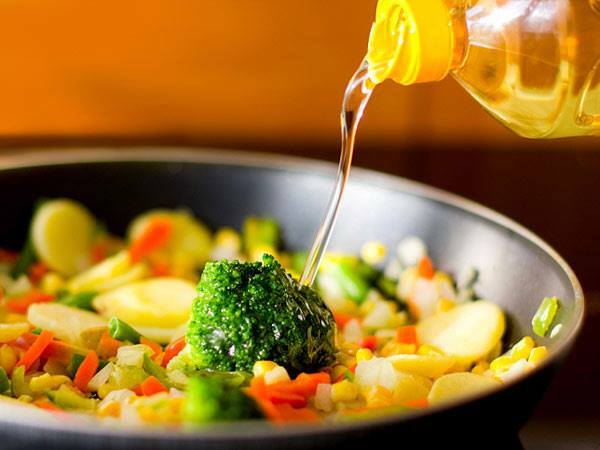 STOP cooking in vegetable oils for your family and start using oils which are solid at room temperate! Ghee, pasteurized organic butter and virgin coconut oil are your best bets!